For people on the go. To be used when completeing a form, or when writing a report in an automobile is important. 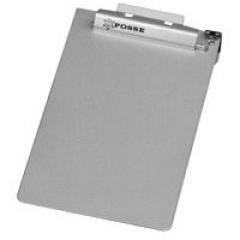 Fits most wheels in any position, and is equally handy for either right or left handed use, making the clipboard easy and efficient to use. Constructed of durable aluminum. Fit over most standard steering wheels. Easily stored beside or under the seat, or in an attache case away from your vehicle.